SALENTO - Torre San Giovanni, as Ugento (LE), new building 50 meters from the sea, two or three rooms with double bedroom, bedroom with twin beds, living room with kitchenette equipped with a large sofa bed with wooden slats from a and a half, color TV, air conditioning, bathroom and outdoor apartment with lawn, barbecue and washing machine (shared). Pets are allowed. In the bar area there are: bars, tobacconist, greengrocer, bakery and supermarket, pizzerias and trattorias. Central position to the towns of Gallipoli, Otranto and Santa Maria di Leuca. Sandy beaches and others for lovers of fishing and diving and just 200 from equipped sandy beaches. 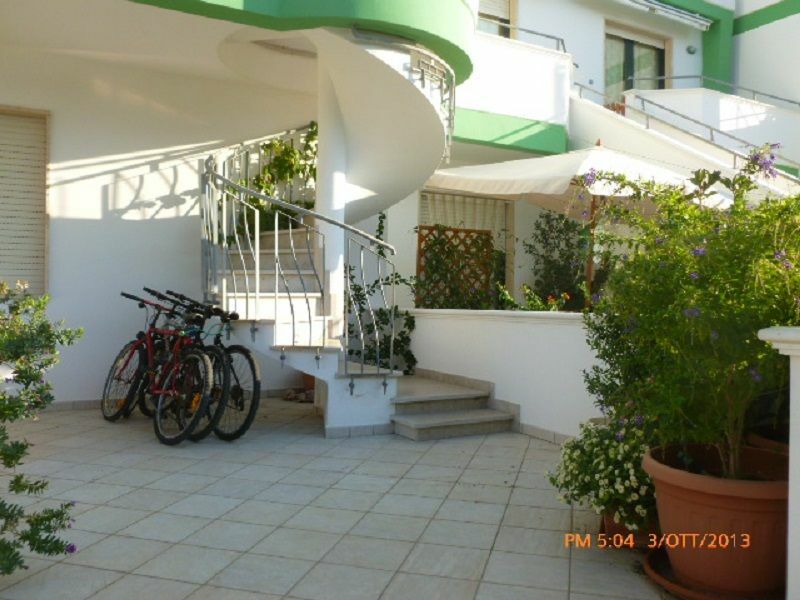 The Miniresidence is located 50 meters from the sea, in a quiet and well served area with good availability of parking spaces. 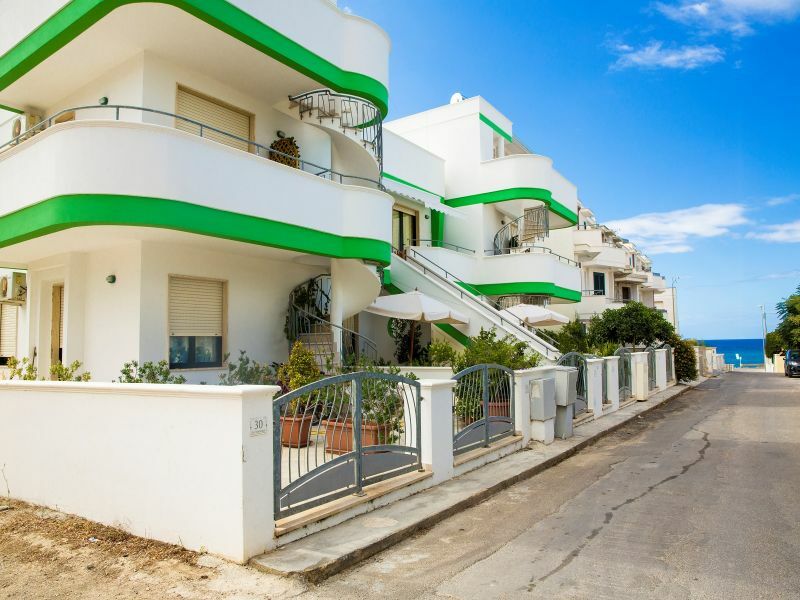 The resort of Torre San Giovanni (1km from Miniresidence) offers all the amenities such as banks, supermarkets, restaurants, first aid, harbor, shops, entertainment and nightlife with a promenade of about 1km. It's definitely the liveliest location in Salento. BY CAR: from the A14 take the exit Bari Nord, then go on the highway Bari-Brindisi, Lecce, Gallipoli and Leuca, Gallipoli then take the exit Ugento-Torre San Giovanni. BY TRAIN: F.S. 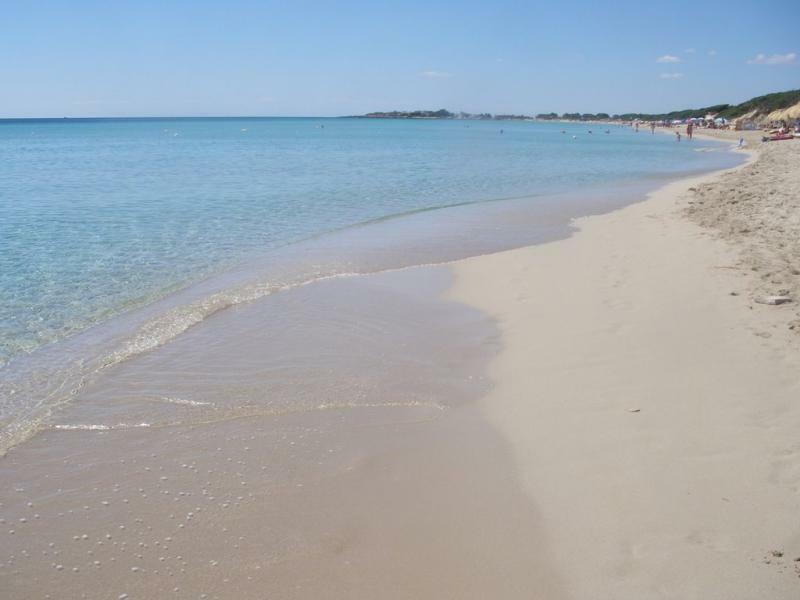 to Lecce (60 km) with the possibility to take a FSE bus, by the "Salento in bus", with a stop in the area of ​​"Mare Verde-Centro Vacanze"
BY PLANE: Brindisi airport (100 km). Very recommended, very helpful, friendly, friendly and friendly owners. Nice apartment whose strong point is the large balcony with sea and sunset views. 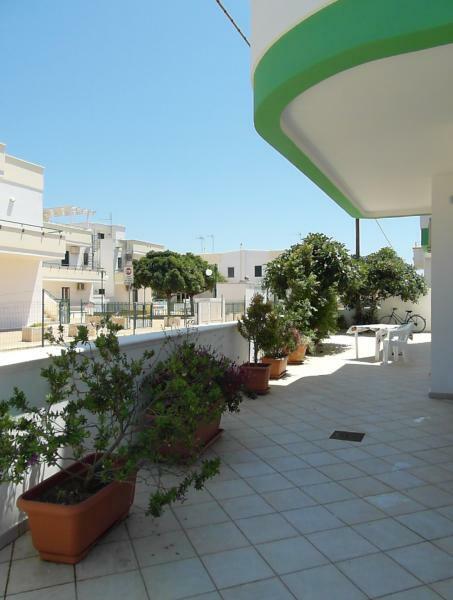 Located 50 meters from the rocky beach and a clear sea. Warm welcome by Teresa and Thomas, available for any need. Owners present and attentive to guests' needs. 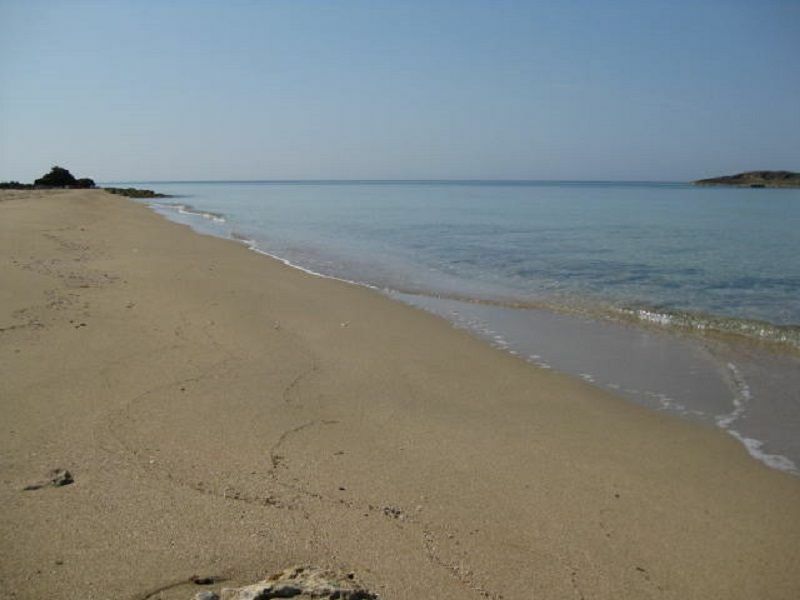 Great location, beautiful sea in complete relaxation in a few minutes you reach the beautiful beaches. Owners always present and discreet with any questions. very cozy furnished apartment as it should, nothing is missing. 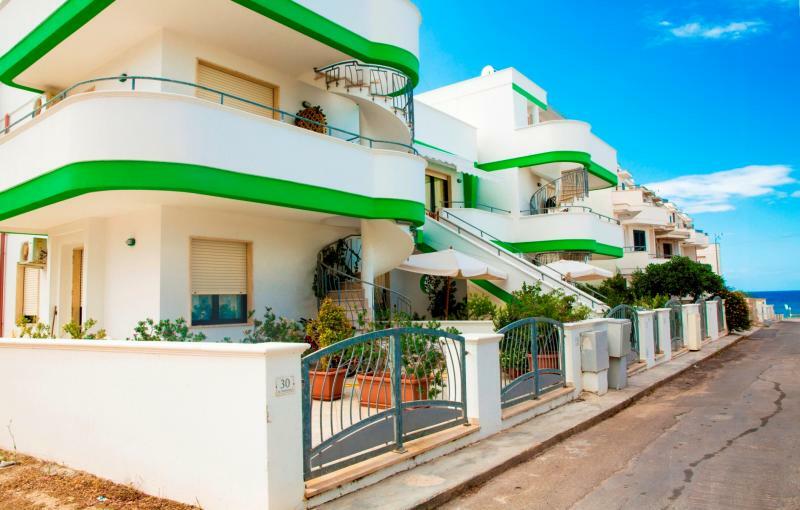 The apartment fully soddisfava our needs, great location 200 meters from a beautiful beach with a nice beach and services. The location is very strategic location in the center of Gallipoli and SM di Leuca, so you can visit the beautiful beaches of Maldives of Salento, and the town center and less than 2 km, where you can find anything and any requirements to 10mt c ' it is a market and bar. Thomas Teresa and Gianluca, the complex managers are always available fantastic people, like all the rest of Salento. We will miss long talks with Thomas and laughter with Teresa ... Highly recommended !!! Managers or owners extremely helpful and polite. The house was like the description, clean and spacious. The owners of the place is always extremely available. At sea you can come and go in costume, where we have both the rock that is 50 meters of the beach sand. What I would return again !!! 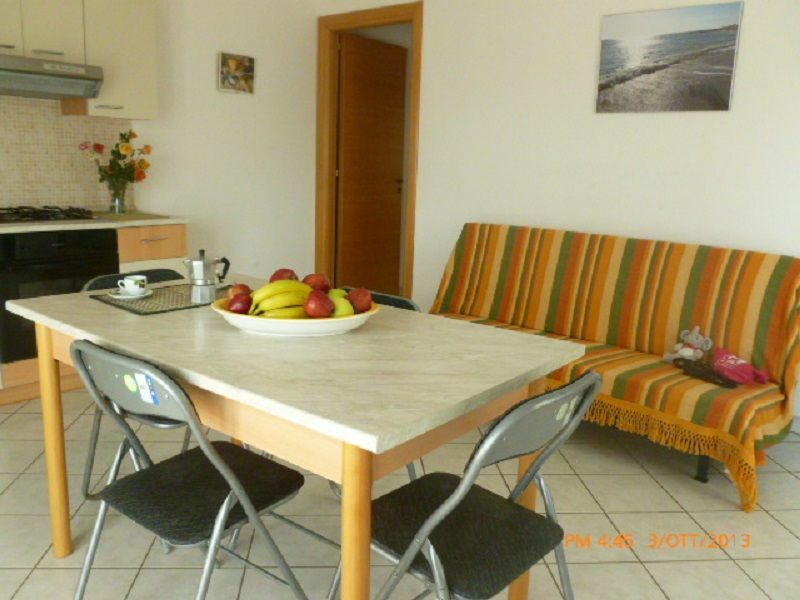 The apartments correspond exactly to the description, are well kept and clean. 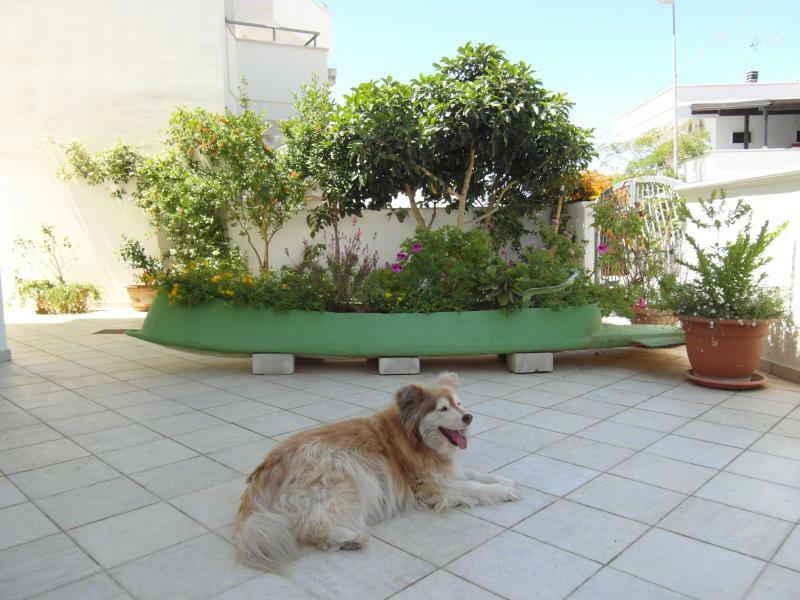 They are close to the sea and a well-stocked supermarket, there is easy parking in the street and the city center can be reached on foot in a few minutes. The owners Mr. Thomas and Ms. Teresa are delicious and they welcomed us graciously, always giving their availability, with the advantage of their daily presence a few meters away. Thanks to them we were able to discover the unique hospitality of the people of Salento, and discover the sights and flavors of the region. Wonderful! We will definitely return. Bel très confortable appartement à deux pas de la mer (rochers). Mer vue depuis la terrasse, un vrai régal! Supérette fournie et bien à 30 bar m de l'appartement. Ambiance familiale très agréable, propreté impeccable. des membres de la famille et vous pas déçus serez it! Apartment conform to the advert description. Friendly owners, present and very helpful. Peaceful and served by a convenient store / bar adjacent to the apartment. The sea is easily and quickly accessible from the apartment, but the coast is characterized by a low cliff, very usable by children. The nearest sandy beach is about 2-300 meters partly occupied by a lido and in part by a beach for free, too small and overcrowded. Otherwise you have to move to 2-3 miles to find wide sandy beaches (both free and equipped). 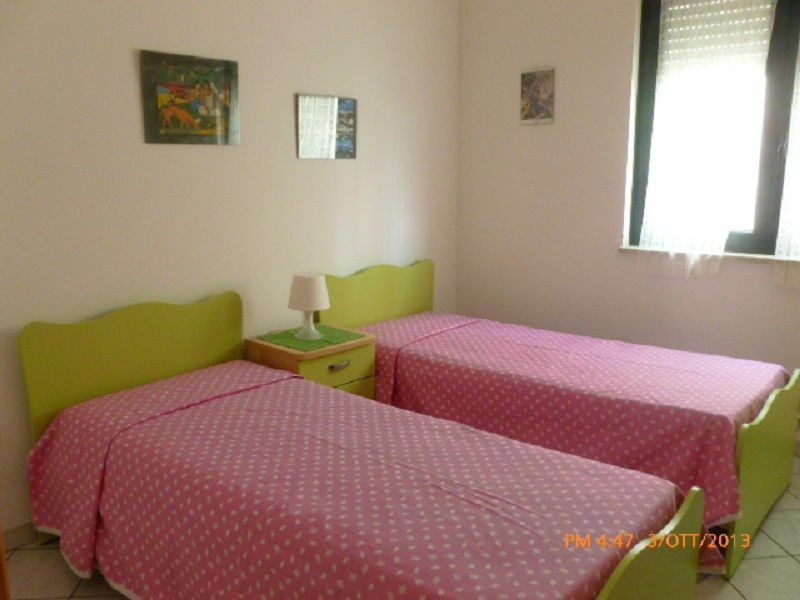 Apartment on the ground floor of new construction, with space for outside hot shower, tub to wash the costumes, clothes, washing machine; I'arredamento is new and there is everything you need for cooking. The owners are very helpful for any request or intervention following minor faults (such as the bathroom sink clogged.) 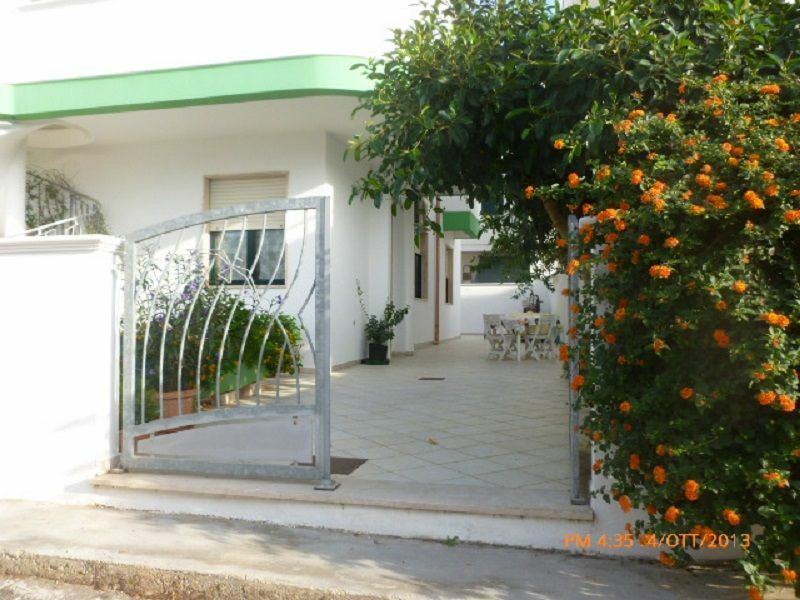 The place is quiet but a short drive away is the village with many shops and night life; next to the house there is a supermarket with everything on the main road and a tobacconist and a beautiful swimming pool at affordable prices. I am quite satisfied and so the friends who accompanied me. with their hospitality, kindness and availability for the duration of our stay. Their new apartment a stone's throw from the sea, bright, very clean and spacious, well-appointed kitchens with large living space and terraces, where the silence of the morning you can enjoy the sea and the sunset in the evening can not please everyone, big and small . We recommend to all those who want to spend a nice holiday. With my husband and my 5 year old son, I stayed in a one bedroom apartment in the last week of June and the first of July. The apartment is new and nicely decorated, just like photographs. The location is great to get around and visit the most beautiful beaches, Gallipoli and Santa Maria di Leuca and several towns inside. We were very pleased, definitely a vacation to repeat. Teresa and Thomas are just two excellent hosts: Ask their advice to go out to dinner ... will not regret it! A splendid vacation otttimo the place, a holiday to be redone. Owners very friendly and helpful. The lease rate includes the use of water (drinking water,electricity and gas). The mini residence accepts your pets: for extra cleaning €40.